The ICC Cricket World Cup trophy will be exhibited in Pakistan on October 3. The trophy will be shown to fans in Lahore from October 3 to October 6. It will be exhibited in Islamabad from October 6 to October 8 and will come to Karachi from October 9 to October 13. The ICC reported that the world cup trophy journey will kick off in Dubai on Monday, August 27. 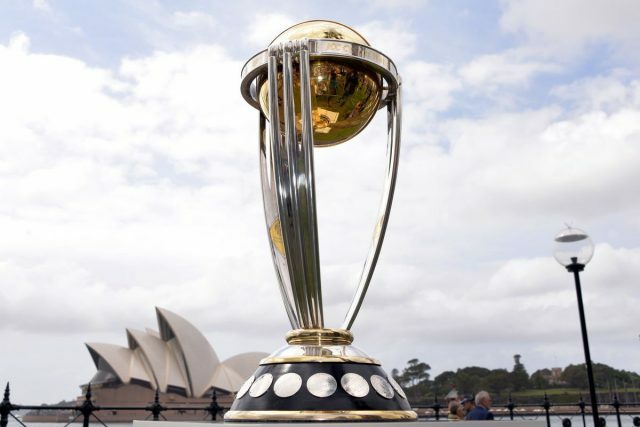 “Travelling across five continents, 21 countries and over 60 cities the ‘most connected Trophy Tour ever’ will allow fans around the world to get up close to the coveted prize that will be lifted at Lord’s Cricket Ground on 14 July, 2019,” said the council. It will travel to Oman, the USA, West Indies, Sri Lanka, Pakistan, Bangladesh, Nepal, India, New Zealand, Australia, South Africa, Kenya, Rwanda, Nigeria, France, Belgium, the Netherlands and Germany before arriving in England and Wales. The tournament will kick off on May 30, 2019 when hosts England will take on South Africa at The Oval.